Wilder Hamm owns Save Point Video Games in Charlotte, NC and has been an avid pinball player for about 4 years. 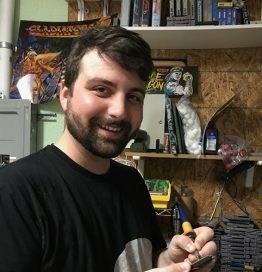 His current project is a Legend of Zelda Pinball machine, based off of the Super Nintendo hit “A Link to the Past”. Before this venture, Wilder has had no prior experience in the creation process of a pinball machine.